The Narragansett Running Association, a local non-profit committed to supporting the health and wellness of student athletes involved with running activities, is awarding one time $500 scholarships to two seniors at Narragansett HS and 2 seniors at South Kingstown HS planning to further their education in a technical program or in a 2 or 4 year college program. These scholarships are for students who participated in either Cross Country, Indoor Track or Outdoor Track during their junior or senior years. Applications are available for download below, or in the school Guidance office, and are due to the Guidance Office by May 11, 2018. First race of the 2018 Club Race Series is Saturday, 1/27 – the Charlestown Chili 5K, at 1pm, Ninigret Park. Details of the 2018 series can be found here. There are a few new races, and a few changes this year. Final details can be negotiated at the Super 7K reunion race at the Willows after the race. The scoring system is similar, but has been changed in a way that increases the reward for participating in low-turnout races. The best 8 races count, instead of best 6. There is an exciting new 66-Minute Beach run in October. Congratulations to Lynn McNamara and Peter Barbera for winning their divisions in the 2017 Club Race Series! 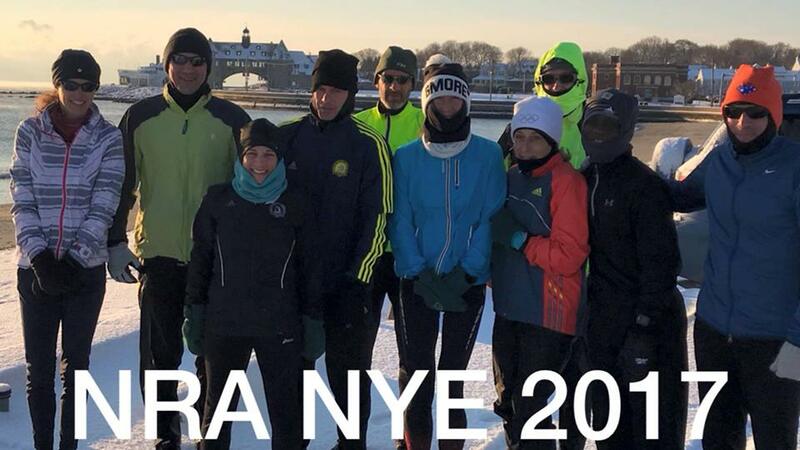 2018 Narragansett Running Association Club Series full schedule will be available soon. The first race in the 2018 series is the Charlestown Chili 5K on January 27. Our annual Winter Party will be held this Saturday, January 13 at 6pm at Wickford Yacht Club. John Brindamour has graciously agreed to cook a fabulous meal for us again, so food will be provided, but the event is BYOB. If you’re able to make a small donation to help offset the party costs, we’ll have a donation box set up at the party. Contributions of any amount are appreciated, but not required. Be sure to send Mike Tammaro (tammaro@uri.edu) an old photo for the photo contest. And there will be a big TV tuned to the Patriots game, for those of you who don’t want to miss it. We will hold a Club Meeting Sunday, January 21 at 9:30am at Bagelz in Wakefield. 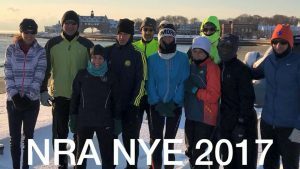 We’ll discuss opportunities for people to get involved with both the club and the Gansett Half Marathon race committee, so please come out and ask questions and get more information on how you can be a more active participant in the Narragansett Running Association and all that we do for the community.